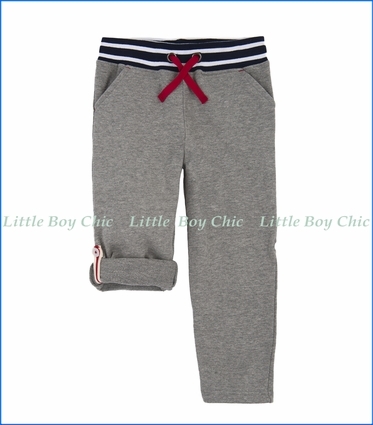 These french terry pants with roll up cuffs provide a soft and good-looking option for everyday wear. Dual quality blend is soft and durable. 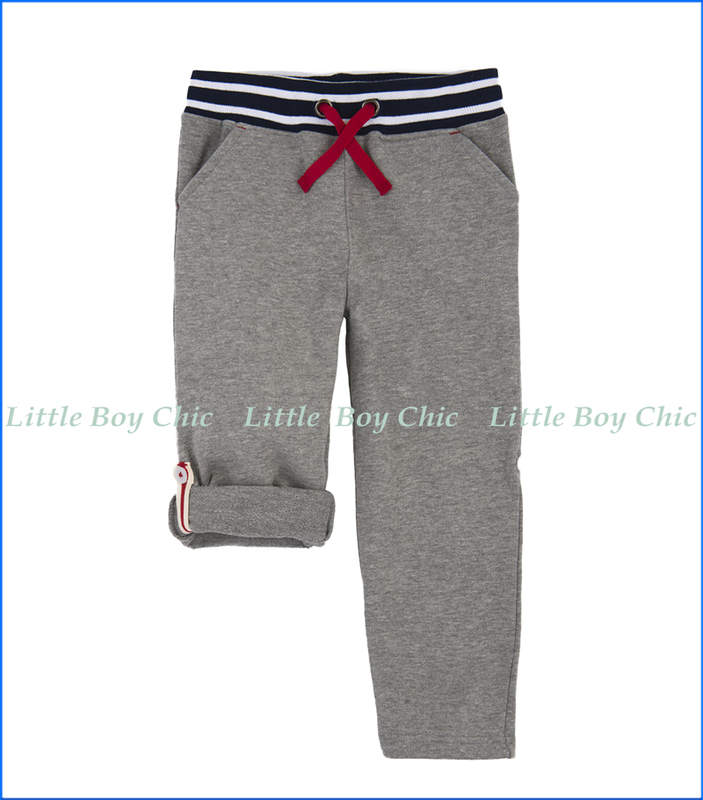 Elastic ribbed waist and contrast drawstring. Front slant pockets.